I am a newbie studying campbell biology. just a quick question about virus. 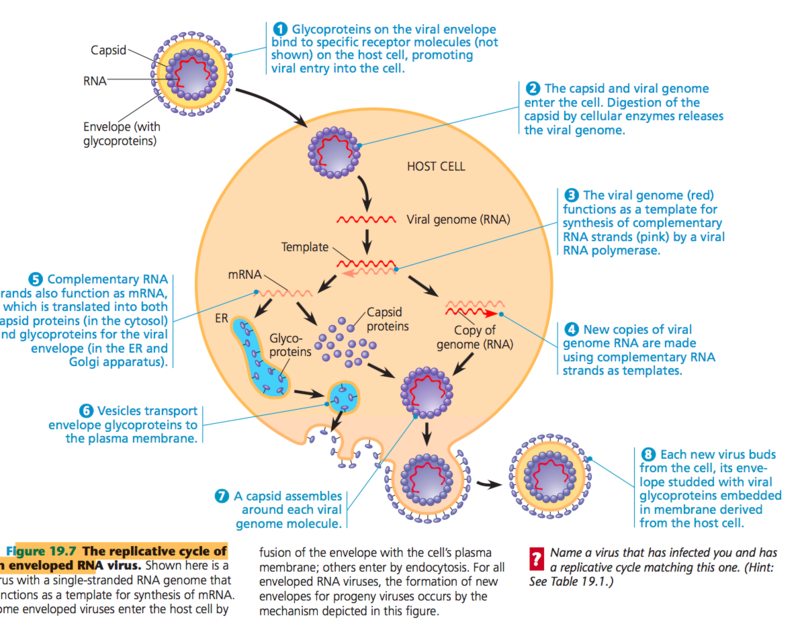 When viral genome(RNA) expose itself in the host cell, why does the host cell not eliminate the genome since it apparently not belong to the cell ? Is there any mechanism that the host cell can detect and eliminate the viral genome as in the step 2,3 in the figure below ? Your image illustrates the replication cycle of a negative-sense single-stranded RNA virus, where the viral genome needs to be "inverted" by an RNA polymerase into mRNA before being translated by the host. There are many examples of (-)ssRNA viruses, including filoviruses (Ebola, Marburg), paramyxoviruses (measles, mumps), orthomyxoviruses (influenza), rhabdoviruses (rabies), deltaviruses (Hepatitis D), and others. These (and all) viruses evolved alongside their hosts, and consequently the hosts evolved various protection mechanisms. One primitive component of the so-called innate immune system in humans and other organisms (going back at least to plants) are proteins known as pattern recognition receptors (PRRs) which bind to conserved motifs found in microbes, including possible pathogens. The types of molecules recognized by these PRRs include certain types of carbohydrate moieties like LPS, peptidoglycans and other components of bacterial cell walls, fungal glucans, bacterial peptides, some types of microbial nucleic acids (such as single- and double-stranded RNA, more on this in a bit), chitin, and others. One class of PRRs are the Toll-like receptors (TLRs), named after the Drosophila Toll protein. They recognize a wide variety of microbial patterns and activate downstream signaling to stimulate an immune response, including production of pro-inflammatory cytokines and anti-viral interferons. In our case, two of them are particularly important - TLR3 and TLR7. TLR3 recognizes double-stranded RNA, which occurs transiently during (-)ssRNA virus infection when the negative-sense genome is being copied to positive-sense mRNA. However, dsRNA is much more common in retroviral infections. TLR7 recognizes single-stranded RNA in endosomes, which would occur after macrophages, dendritic cells, or B cells consume dead virally-infected cells. Unfortunately for the host cell, once it has been infected there isn't much that can be done to save it. Viruses evolved to hijack the cell's machinery and make more copies of themselves. This hijacking is generally one way, so the only way to fight the infection is to kill the cells producing the viruses. This is, for example, why you often get a sore throat during an influenza or rhinovirus (one of the most common causative agents of the common cold) infection - epithelial cells lining the throat get infected, and are killed by the immune system to prevent the spread of the infection. This leaves a "raw" area that must heal over time. A common class of enveloped single-stranded RNA viruses are the Alphaviruses. They are typically spread through insect bites, usually mosquitoes. These viruses carry a single strand of "positive" RNA, which is 5' capped and has a 3' Poly Adenosine tail, making it appear like a normal mammalian messenger RNA, only much larger. Because this RNA is positive, ribosomes in your cells can directly use this RNA to produce the enzymes needed to duplicate the RNA. These replicases use the positive strand to create many negative strands. Each negative strand can then be used to create additional copies of the positive strand as well many more copies of the subgenomic RNA, which is used to create the capsid and envelope proteins. Those proteins plus the positive strand RNAs are assembled into new viruses and bud off the cell. The viral RNA protects itself by acting like a messenger RNA. This recruits host proteins that prevent degradation and promote translation to make the viral proteins. Most alphaviruses also shut down host-cell transcription and inhibit the interferon response. This prevents the cell from mounting a defense against infection, but also eventually kills the cell. EDIT: I just noticed that your question is tagged "Retrovirus", but your image does not represent the retrovirus life-cycle. It looks more like an alphavirus life-cycle. Depending on the nature of the viral genome there are multiple pathways (elaborated upon in previous answers and comments) that sense viral nucleic acids and trigger an interferon response. This can induce apoptosis and kill infected cells, or alternatively, it can set of a cascade of genes that induce replication arrest (which in the case of some viruses can be enough to thwart an infection because of viral dependence on host replication factors). One byproduct of the induction of an interferon response is the induction of the APOBEC family of cytodine deaminases, which can hypermutate viral genomes (APOBEC1 hits RNA, multiple APOBEC3 proteins hit DNA/ssDNA that may potentially result from various phases of the replication cycle), and other related restriction factors. However viruses have evolved to evade these responses, either by altering restriction factors themselves, or by evolving sequences that won't be detected by viral sensing molecules. If you are trying to ask if the RNA can be destroyed, it is not likely unless you don't utilize siRNA. SiRNA, a mechanism involved in the regulation of phenotype expression, plays a key role in avoiding lytic and lysogenic cycles that could potentially help the virus produce virions, helping the virus reproduce. 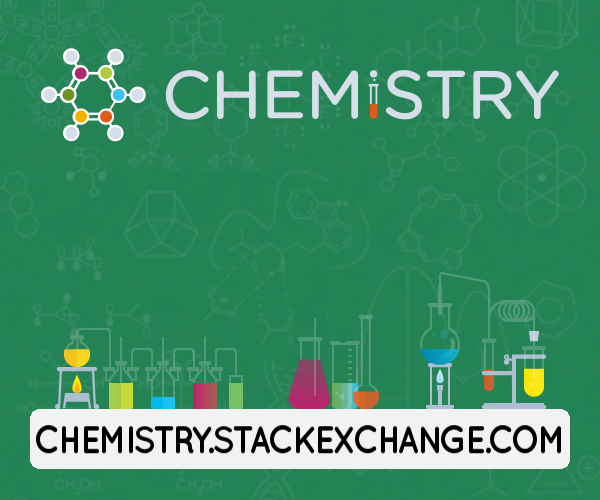 This RNA, also known as small (short) interfering RNA, an RNA duplex, is able to target certain mRNA molecules, causing them to degrade. This can eventually lead to gene knockdown. Additionally, the lysogenic cycle, causing cells to lay dormant for some time before eventually releasing virions, contains a g0 phase. The g0 phase is a period of the cell cycle in which the cell produces minimal proteins or undergoes little or no DNA replication. Keeping the cell in this phase may help avoid virion synthesis. Furthermore, being able to trigger immediate cell apoptosis would also help reduce the amount of viral replication. However, this can be dangerous as the cell may be prone to undergoing the lytic cycle. So yes, it may be possible without the use of siRNA, but it will be very unlikely. Immune response can also help fight off the virions in the long run.